Facebook is telling its users to ignore rumors spreading on the social network that they need to post a statement to protect their copyrights of their comments and other materials. "There is a rumor circulating that Facebook is making a change related to ownership of users' information or the content they post to the site," Facebook said in a "fact check" notice on its website Monday. "This is false. Anyone who uses Facebook owns and controls the content and information they post, as stated in our terms. They control how that content and information is shared. That is our policy, and it always has been." The notice came after the copyright notice went viral—suggesting that a posted statement was needed to protect copyrights on Facebook. 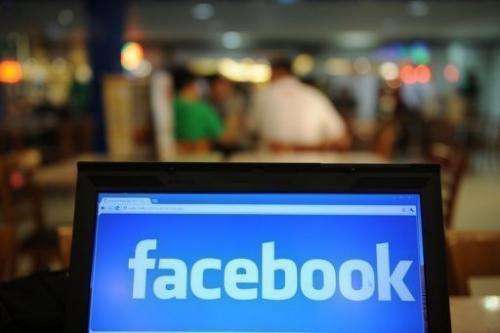 The hoax had been around in the past but resurfaced after Facebook announced changes to its privacy policies last week. Users began repeating these posts, which stated, "In response to the new Facebook guidelines I hereby declare that my copyright is attached to all of my personal details, illustrations, comics, paintings, professional photos and videos, etc... This will place them under protection of copyright laws." Warnings about the so-called "chain letter hoax" were issued as far back as June from the security firm Sophos and others. And noted technology blogger Robert Scoble poured scorn Monday on those falling for the trick, saying on his Facebook page: "If you are posting about copyright on Facebook and you haven't done your research you are an idiot." Yeah, jackoff --you might just as well say that if you work at Walmart and don't have a degree in plasma physics, then you are an idiot. Newsflash-- the vast majority of people using digital tech are just workaday stiffs that don't have their ears pressed to the ground for the most reliable sources of information on how to proceed with these matters, since there aren't any official sources. What happens when you act upon incorrect information? Some geektard calls you an idiot. That's the sort of condescension that smacks of biting the hand that feeds. Not every technology user is an IT professional AND a copyright attorney. Or a master websearcher well-versed in interpreting credentials. They aren't called "consumer electronics" for nuttin'.